piping is scary to me. i attempted it for the first time 4 or 5 years ago. it wasn't pretty. but then i was sort of new to sewing, really new to sewing, and i didn't have the right feet for the job. needless to say i was completely turned off by the whole process, but i love how piping makes a pillow look really that much better. so this is a throw pillow, like as in i could throw this pillow away because it's been with us since our wedding shower and it's been lactated, spit-upped, smeared with who knows what for about 9 years (yup my little guy's going to be 9 next week yikes!) so i really didn't feel so bad about taking off the cover i had on it already (didn't really care for it) making a new cover for it and if it turned out awful then i could just throw the whole thing away. i made it into a slipcover this time because i switch my fancy from time to time, not often mind you, but if for some reason i want to i can totally change the total look of it without having to cut off or ruin the work i did. turned out okay. i definitely need more practice. 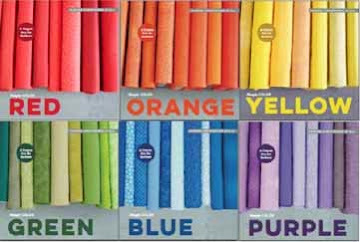 but now that i've attempted again something i tried once a looooong time ago (in sewing project years) i think i can actually feel a little better about trying to attempt the boys' decorative pillows, and i'm thinking i might try my first re-upholstering project this year. but that's a little scary and i'm not committing to anything just yet. edited::p.s. : it's been brought to my attention in the past two weeks i've been awarded 4 awards from different blogs...blush...thank you for thinking of me. now if i could get my act together and find them again so i can make a link to them and you all don't think i'm making it up...sigh... thank you thank you thank you. AHA! found one! thank you cottage lifestyle for my lovely award! Ahhh, you have a talent I only wish I had. I love how your slipcover turned out. your pillow turned out great. I love the red check. My sister re-upholstered a chair in our bedroom. It came out beautiful, but I'm with you...I would never attempt it either. but it took me 5 years to try it again!thankfully with f's help i got to grab the bull by the horns though! ;) she'll probably tell you i was a mess trying to figure it out but don't believe anything she says. Lovely! I don't think there's anything you can't tackle. Did you make the quilt in the background? You can email me if it's a secret! no didn't make that quilt its actually just a moda fabric panel, i love it though! I have a few that need a makeover...well a house as well...do you hire out (traveling is a must)? I wish that I could just "DO" like you! Such an inspiration to us all! Good job on the piping! I find piping scary as well, and have been too afraid to give it a try! I've been reading your old posts and I just have to say, you've done wonders for that house!!! I LOVE the before and after shot, especially of the outside. Great work! You're ability to just "add some paint" to furniture and make it beautiful amazes me! Could you please, some day, any day, when you need something to post about, give us a tutorial on how to paint old furniture!!! I've only painted one piece, and I had trouble. Do you spray paint? Do you have to sand it down first? Please, oh please, tell us your secrets! your pillow turned out great. 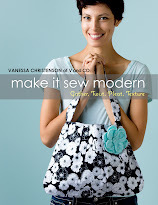 I really want to learn to sew this year... you have made me want to bump it up in priority! I'd love a tutorial on the beautiful quilt hanging up behind the coo chair, and if you ever getting daring and reupholster something you'll have to teach us all how! Your pillow slipcover looks great. I'm scared to death of piping. 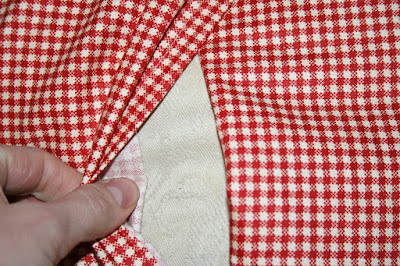 Sewing straight lines, I can handle, but not piping. Your pillow looks great! Don't you love the flexibility of a slipcover?!?! Now that you've done such a nice job with piping, adding a zipper to the next one is in order!! Think of it as giving another 'layer' to the sandwich you are making. You go girl!!! V, you are welcome. 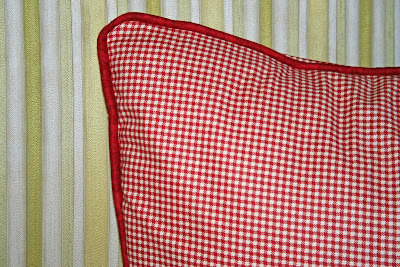 I love pillows with piping as well...but don't enjoy making the piping. 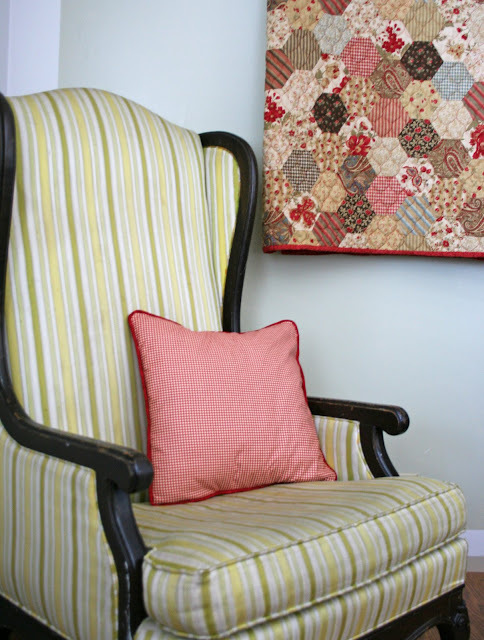 Love the quilt that is on the wall next to the chair and pillow...did you make it?